Escaping a troubled recent past, a young woman sets off alone on the Pacific Crest Trail. 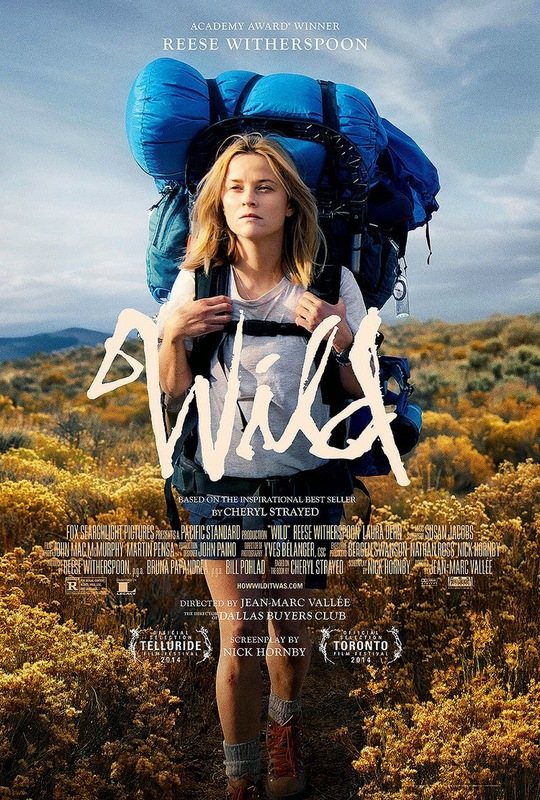 Based on the memoir of Cheryl Strayed, here portrayed by Reese Witherspoon, Wild's title refers both to the off the beaten track nature of the Pacific Crest Trail and the lifestyle Strayed is attempting to leave behind by taking it. In director Jean-Marc Vallée's heavy hands the two elements fail to coalesce as he adopts a flashback narrative that gives us plenty of background detail but adds nothing the viewer really requires to accompany Strayed on what is in itself an interesting journey. Witherspoon gives it her all but she's undermined by a director who consistently fails to understand the phrase "show, don't tell". The actress is de-glammed in that Hollywood way that makes her more attractive than if she were treading a red carpet in a million dollar gown. Vallée and screenwriter Nick Hornby rely far too much on those dual staples of bad storytelling, the flashback and the voiceover. Through the latter, Witherspoon constantly tells us how close to collapse she is , but there's little visual evidence to back this up. Walking through the baking heat of the California tundra, there's not so much as a bead of sweat visible on the actress's brow, despite her spoken narration telling us otherwise. Watch Wild with the sound muted and the 1000 mile hike becomes a walk in the park. The flashbacks take us back to Strayed's childhood and illustrate how positive her mother (Dern) remained in the face of several hardships, from an abusive husband to a fatal illness. As a result of the latter, Strayed goes off the rails, turning to heroin and sexual promiscuity in lieu of mourning. Again, this is all too polished, with Vallée's notion of a heroin addict seemingly inspired by '90s fashion shoots. This is "bad" Strayed, the film tells us, as opposed to the "good" Strayed who sets off on her pilgrimage. You can tell which is which by the presence or absence of eyeliner. This is a great shame, as if you edited out the voiceover and flashbacks Wild would be a perfectly good road movie. The scenes on the trail are highly enjoyable, as Strayed encounters a variety of interesting characters on her travels, from a journalist who mistakes her for a rare female breed of hobo to a precocious child who reduces the adventuress to tears with a charming rendition of Red River Valley. At the outset of her journey, Strayed makes a phone call to her ex-husband, who hints at why she's chosen this path. The film's early ambiguity is delicious and allows us to step into Strayed's hiking boots, but the more answers Wild gives us, the further we drift behind Strayed, until ultimately she's a distant speck on the California landscape.